My air pump is dead. Do you know what model it is? Miguel Valenzuela First of all, please note, the manufacturer StoreBound does not recommend servicing your machine. But they don't manage this forum, so it's up to you to decide what to do. If you need help with a replacement part, send an email to feelgood@storebound.com or support@storebound.com. Now, as far as I know, the pumps are vacuum pumps, 6 Volt, 500 mA DC. 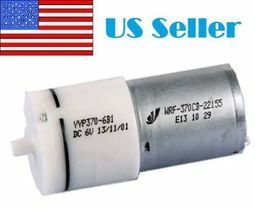 Do a search on ebay for 6V DC mini Micro air pump. BTW, why did you think it went out? Ideal for provide oxygen for aquarium. Pressure range: 400-650mmhg. | eBay!